Beginning to Feel a Lot Like… Valentine’s Day?? Well, we’ve wrapped up another magazine issue. While most folks are pondering their holiday meals, winter festivities, and gift giving, we’ve put the finishing touches on Valentine’s Day and the month of love. We’re excited to share it with you, and here’s a sneak peak at what my coffee table has looked like this past month. Curious to see what this large mess could possibly look like in the magazine? We’ll let you get through the winter holidays first, but mid-January, your magazine subscription should be on its way to your doorstep. If you’re not yet a subscriber to our magazine, MaryJanesFarm, subscribe here for $19.95/year. February will be here in the blink of an eye! 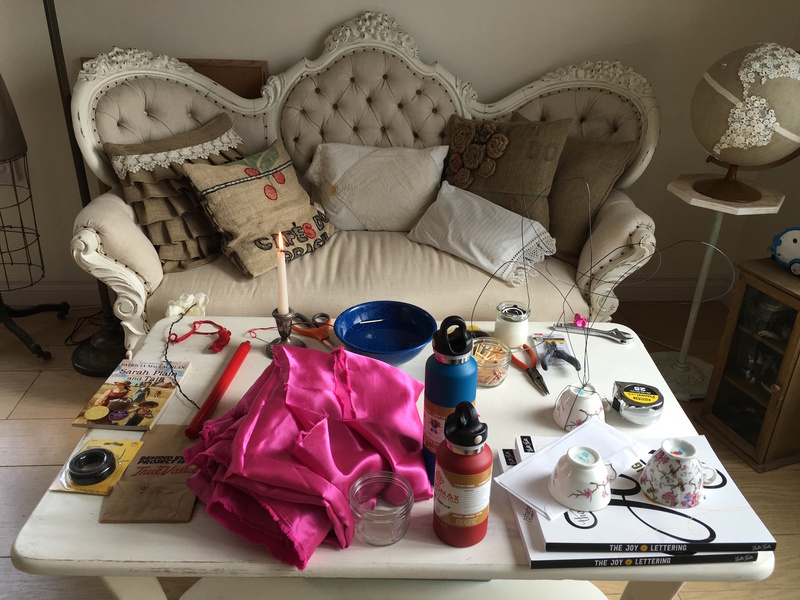 I am curious to see what you were working on with so many unrelated items collected on your table.